With the ongoing changes of our fashion world,our professional hair team will use their continuing education to create the right look for you and your personality. A free hair consultation can be made prior any service to make sure the look you want is the look you get. No matter what you need our hair specialists are here for you. *Complimentary consulation with any service. Our hands and feet reflect our personality everyday. Show them off! Our licensed nail technicians can provide the proper nail care and pampering service that make every hand gesture a wave of success and every footstep a little smoother. From Express to a full Spa, we offer a variety of services to fit your time and nail needs. Our skin does a lot to protect us from the environment. Why not protect your skin! Our esthetician will show you how to treat your skin and obtain its optimal glow with relaxation and proper skin care. Our Cleansing Facials are great for men, women, and young adults. Our Cleansing Facial will cleanse, exfoliate, and massage your skin. A wonderful Marine Mask will then be applied to your skin. With deep cleansing and conditioning, our Marine Mask will help to balance the skin?s texture. If you have never had a facial before, or are busy and only have a small amount of time, the facial is for you. Designed to personally create a facial right for you and your skin type. Our esthetician will examine your skin and diagnose exactly what you need. Our Customized Facials include the proper cleansing for your skin type, exfoliation, steamed massage for décolleté and face, and a customized mask. Our custom lab allows our esthetician to use specifically designed essentials for your skin. From start to finish, each facial is uniquely customized with you and your skin in mind. Our Ultimate Facials are designed for our guest who is looking to not only to cleanse the skin, but tone the muscle tissue and visible lines as well. Starting with a cleansing, exfoliation, and steamed massage for your décolleté and face, our esthetician will then pamper your skin with an ultimate mask. After your proper skin examine, our esthetician will chose which ultimate mask suits you best. · A non-surgical face lift, designed with Aloe Vera will tighten, tone, and lift your skin and muscle tissue. 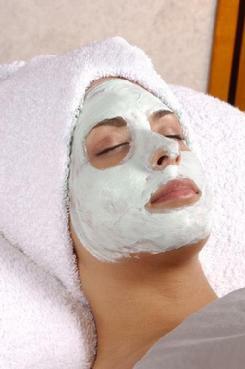 · Our popular Four Layer Facial, designed with cosmetic seaweed, will plump, smooth, and re-hydrate your skin. No matter what you chose, these facials will not only rejuvenate and tighten your skin, they will leave you wanting more. Every season can make your body feel dull, dry, or sluggish. You can rejuvenate your skin back to feeling smooth and having a natural glow with a Body Polish. Our esthetician will relax you, your mind, and body in a calm setting. Using proper exfoliation, our esthetician will exfoliate away your dull, dry, and flaky skin. We will then finish with a moisturizing lotion, which is massaged into your skin. A great start for getting your body's blood flowing and exfoliating your skin back to smoothness. Sometimes our skin needs an added touch of pampering. Using aroma essential oils and our customizing lab, our esthetician can create the perfect formula that suits your body's needs. Starting with a calm and relaxed setting for you, your mind, and body to unwind. Based on what your skin is lacking and needs for rejuvenation, our esthetician will apply your very own customized formula to your skin. This application will include a light massage technique to create blood circulation and optimal relaxation. A light refresher with warm towels and a finishing lotion will then be applied to your new healthy glowing skin. Whether you need hydration, skin balancing, or maybe an aroma therapy treat, a wonderful personalized body wrap awaits you and your skins needs. Need to detoxify, reduce water retention, smooth skin, or tone? Treat yourself to our ultimate body treatments. Our Aloe Body Contour Wrap, is a deep heating wrap designed to minimized the appearance of cellulite and stretch marks, release trapped fluid, and shape and tone the skin. Our esthetician will apply a cinnamon aroma lotion and wrapping technique to your body. While this body wrap does all the work you can relax. You will be inches less when you leave. Don’t believe us? Our esthetician will measure you before and after. Stress is a powerful word that can make our bodies sore, fatigued, or stiff. Stress can also cause our mind to become unfocused. Sometimes when we put our bodies to the test and feel knots and muscle aches, we can resolve them with a rejuvenating or relaxing massage. This massage uses light to medium pressure. Different techniques such as shiatsu, effleurage,kneading strokes,tapotement, and pressure points are combined together to create a enjoyable massage. This ensures relaxation by relieving tension, loosening up the muscles, and giving you a more relaxed state of mind. A deeper pressure massage for individuals wanting more detailed body work in specific muscle groups. For athletes, sport massage techniques are utilized at all stages. Pre-event, post-event, during training and to expedite rehabilitation after injury. For our expectant mother. Your massage therapist will use specific techniques to help you enjoy your massage comfortably. Gentle strokes will relax and rejuvenate your mind and body. During the later months of pregnancy, the therapist concentrates on the back, legs, face, and arms. Incorporating warm stones into a relaxing massage technique, your massage therapist will be able to create a deeper and more relaxing massage to sooth your sore and aching muscles. A wonderful experience for your hands and feet. While working on your nerve endings, specific massage techniques and pressure points will help to unwind your muscles, allowing you to relax and your body to recharge. Awaken your senses! 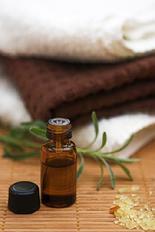 Add to your refexology our Aroma Therapy Treatment. Using a customized blend of therapeutic aroma oils, your reflexology has become a complete service that will help balance your senses and truly take you to an ultimate state of relaxation. A truly different technique to re-balance your mind and body. Working with your energy, your massage therapist will work on relieving muscle discomfort and re-accruing tension, migraine headaches, everyday stress. This will create a balance to your mind and will allow you to have a sounder sleep, focus better, and have an overall great feeling to your well being. Preferred Membership $59 a month!